Manage all your content in one calendar. Use one inbox for all your interactions. Create automated ad campaigns at scale. Monitor the social web for insights. Track your performance across channels. See all your audience data in one place. Maximize your time, reach and impact. See what your audiences are talking about. Plan and publish with greater insights. Manage your clients’ social channels more efficiently. The latest trends, news and insights. In-depth content to inspire and educate. Expert discussions on key marketing topics. Falcon in action with diverse companies. 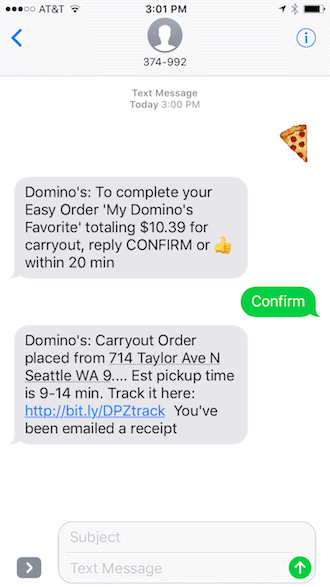 5 Essential Tips for Emoji Marketing in 2018. How to make emojis work for your brand. In 2018, though, emojis are too big of a cultural force to ignore. They’re present in every form of digital communication, from email to Instagram. In fact, 92% of all internet users now use emojis. Your brand can jump on the popularity and influence of emojis on social media to make your message stand out, entertain your followers, and come across as more human and relatable. In addition to humanizing your brand, emojis can massively boost engagement for social media marketers. Facebook posts that use emojis receive 57% more likes and 33% more comments and shares than those without them, and tweets with emojis have a 25% higher engagement rate. With results like that, it’s pretty hard to resist launching emoji marketing campaigns. But there are a few rules to keep in mind to avoid looking out of touch when using emojis for marketing in 2018. If your company works in fashion, sports, music, or any other form of entertainment, it’s very likely that emojis are appropriate for your brand. However, if you’re offering a more serious service, there’s a strong chance of missing your mark. Imagine searching for funeral services, only to be met with a crying emoji. Picture searching for financial aid, only to see companies tweeting pictures of money bags. This kind of feels like when your parents first found out about ‘txt speak’. Remember to take a step back and consider your brand personality first before using emojis for marketing. So you’ve given it some thought, and come to the conclusion that emojis match the brand voice your company is aiming for. The next step is to make sure you do it in moderation. 59% of all 18- to 34-year-olds now say that businesses are overdoing it with their use of emojis. Examples of emojis overload are everywhere. Over 350,000 people are registered to a subreddit called r/fellowkids (named after the 30 Rock clip above), designed to make fun of companies missing the mark when communicating with young people. Along with memes that missed the mark, overuse of emojis is one of the top complaints on the subreddit, with these posts attracting thousands of mocking comments on a daily basis. Admittedly, the #ChevyGoesEmoji campaign was tongue-in-cheek, but busy consumers reading this newsletter didn’t have time to appreciate the subtle satire and were mostly just baffled by the cluttered, unclear message here. If you’re unsure whether an emoji has an alternate meaning, you can do a Google search by entering the emoji in the search bar or look it up on Emojipedia first. While emojis can add a fun, playful element to your message, they’re not a replacement for the message itself. Don’t replace important words with emojis, since more often than not they’ll just obscure what you’re trying to say. Here, the trumpet emoji doesn’t replace any key words or phrases. It works well with Smithsonian’s knowledgeable, sober brand voice, and it calls attention to the focus of the tweet. When using emojis for social media marketing, use them to highlight important ideas or images from your message without replacing the message itself. Try picking one to five emojis that relate to your brand and start using them consistently in your posts. Your brand voice will appear more consistent and you’ll avoid misusing more obscure emojis. The biggest benefit, though, is that consumers will start to associate your brand with those emojis every time they see them. By taking existing emojis and ‘branding’ them in this way, you’ll get consumers to think about you even when you’re not marketing to them. For instance, McDonald’s recently ran a high-concept ad campaign based on how people associate emojis with their brand. They styled their actual products to look like emojis and photographed them, highlighting how their burgers, fries, and sodas have such an iconic appearance that emojis themselves are influenced by them. Now that’s great emoji marketing. By finding a select few emojis that are relevant to your brand, you’re crafting a distinct brand voice with emojis as well as language. The more you distinguish your brand through emoji usage, the more consumers will remember you. The Essential Social Networks Guide for Marketers. Download the complete marketer's guide to Facebook, Instagram, Twitter and LinkedIn. [Report] Compare The Top Social Media Suites. Falcon.io is a top-rated solution in G2 Crowd’s Enterprise Social Media Suites Solutions Report. Download the latest report to see user reviews of Falcon.io. From IGTV to chatbots, explore the digital marketing and social media trends you should be paying attention to in 2019. How to Select a Social Media Management Tool. A step-by-step guide to identifying the social media management tool that’s right for you.